We are reckoned as the most preeminent Zenfog Mini Fogging Machine Importers in India. 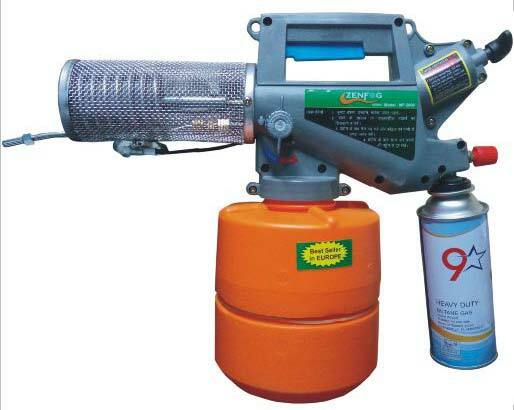 Using gas as fuel, Pest Control Fogging Machine can be used for sanitation and epidemic prevention in house, garden, hospital, restaurant, hotel and other public places. Mini Thermal Fogging Machine can also be used in hen-house, sheepfold, cowshed, stud farms and so on; it is a new sterilization electronic sprayer with reliable capability, convenient use. Moreover, countable features like high durability and resistivity to various corrosive situations has also played a vital role in the enhancement of the demand of Zenfog Mini Fogging Machine. Customers are also facilitated with the availability of the Zenfog Mini Fogging Machine within the stipulated time frame and at the most affordable prices.